Rainy days are by far my favorite kind of days! Add a chilly temperature and an empty schedule especially on a weekend and you have a recipe for the dreamiest of days! The only thing that further enhance my excitement of the rainy day is the outfit it invokes! 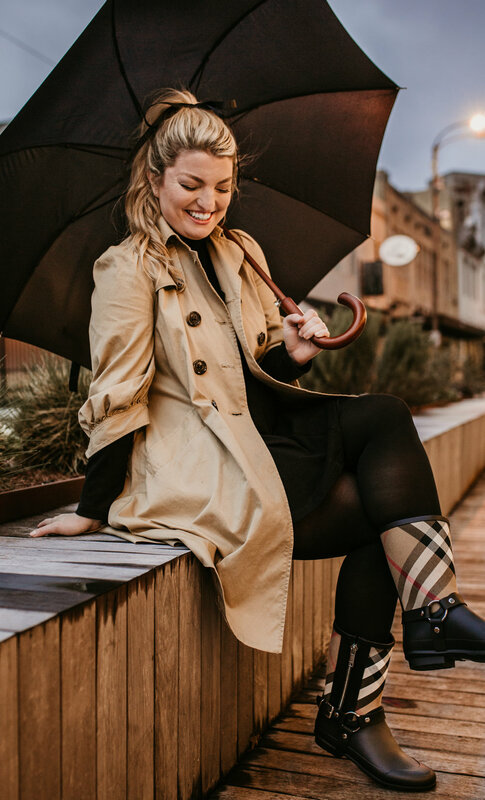 For Christmas I received these fabulous Burberry rain boots from my husband! My love of Burberry is so deeply rooted! There is something about that classic British heritage print that is properly perfect! Being a huge Anglophile myself, I of course love everything British; these boots being no exception! I plan to bring these on many trips abroad, especially heading back to London this year! 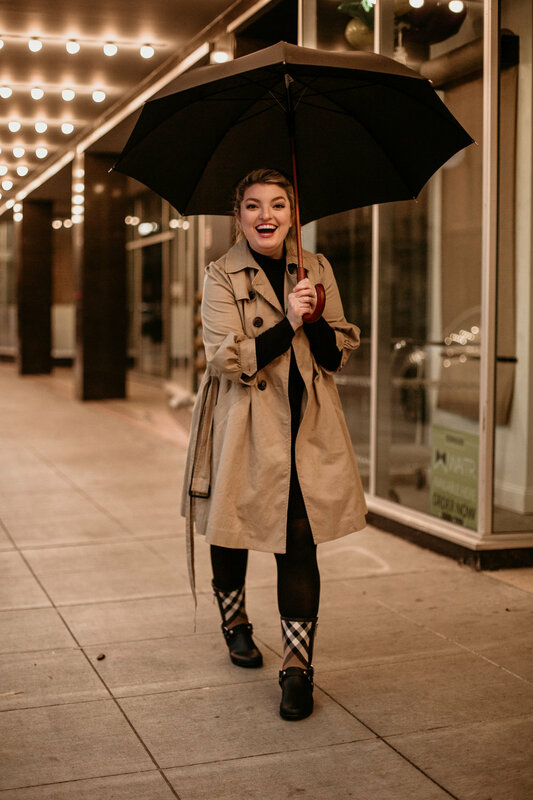 Another classic rainy day staple is a trenchcoat! 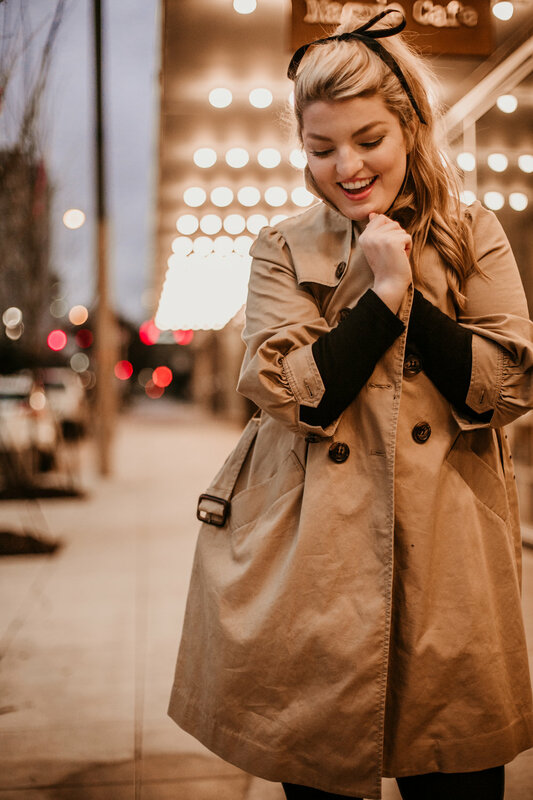 This ultra feminine swing three-quarter length sleeve trenchcoat is a BCBG classic in my collection! I have owned it for many years and it has made many appearances in my travels and on rainy days at home! 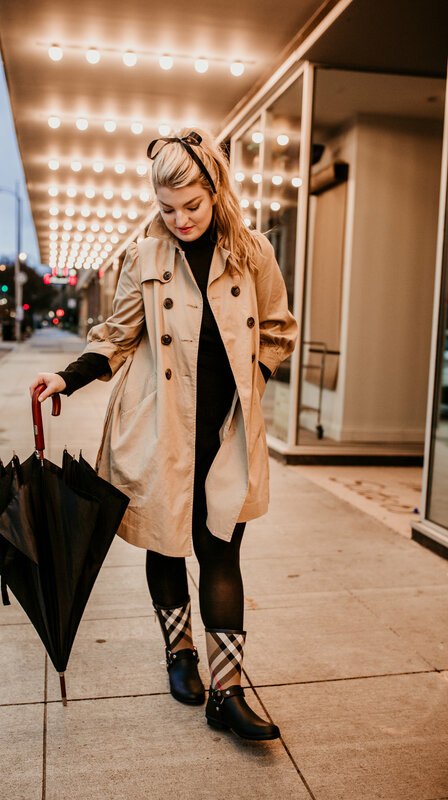 A good trench coat is the perfect travel companion. It combats an array of temperature challenges and layers wonderfully over many different outfits! 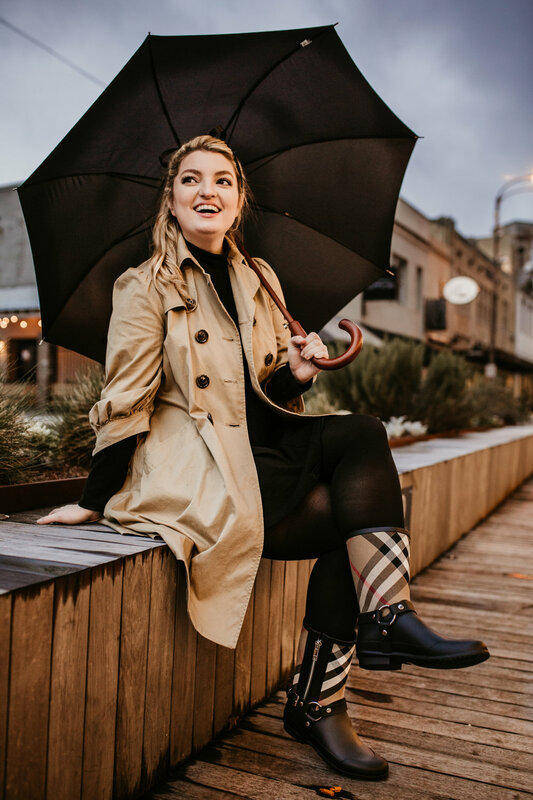 I've linked many options for trenchcoats and rain boots below for you! Another rain day must, of course, is an umbrella! While the Burberry print umbrella is high on my wish list, I will just have to keep dreaming for that one! I have, however, found the perfect classic black wooden handle umbrella! It has become a staple for my rainy day looks and permanently lives in my vehicle! You just can’t beat an oversized umbrella with a handle for easy carrying! I hope wherever you are you are enjoying your weather, or at least making the most of it with a fun outfit! We will be heading out on a little trip next week! I am so excited to share content from this location! Make sure you are following me on Instagram in order to see photos and Insta Stories from this trip! Also, don’t forget to subscribe to my blog if you haven’t already! Until next time, I hope you stay dry and have a great week!